Gluten Free and Dairy Free Baking and Cooking. These are hands on classes where you will learn to bake your favorite desserts, breads and confections using wheat and gluten free flours and non dairy products. Using substitutes for making sauces, soups, gravies, main and side dishes, you will learn everything you need to start baking and cooking without gluten in your own kitchen. Vegetarian Cookery Course. This one was very succesful last fall and spring so we’re doing it again. Another hands on experience where you will learn everything you need to know about combining pulses, legumes, vegetables and whole foods for optimal nutrition. Both courses are offered at the Boghill Centre, Kilfenora, run for 4 weeks and are 2 hours each night. 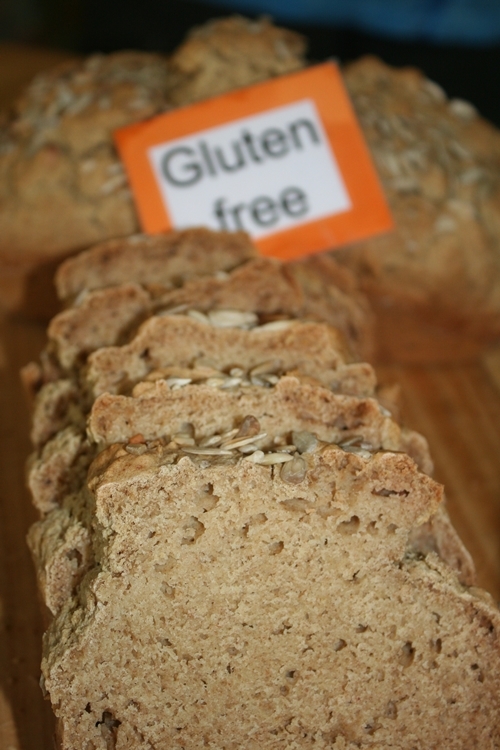 Gluten Free Course is Tuesday nights, 13th September to 11th October 7:30 to 9:30. 100 euro includes all supplies, recipe handouts and the foods we create. Vegetarian Cookery Class is Thursday nights, 15/09 to 13/10 from 7:30 to 9:30. 125 euro includes all supplies, recipe handouts and the meal we prepare. Contact me at mary_sheehan@comcast.net to sign up. Join us and start Eating Healthy and Feeling Good!